Elizabeth Arden Storyteller-In-Chief Reese Witherspoon and Photographer/Director Sophy Holland discuss female empowerment. On today’s podcast I speak with photographer and director Sophy Holland who has worked with clients such as Vogue, Elle, ESPN and Harper’s Bazaar to name a few. Link in below! For episode 04 of 59 Seconds - we sat down with Sophy Holland to discuss her first camera, tattoos, and how to run your business as a photographer. 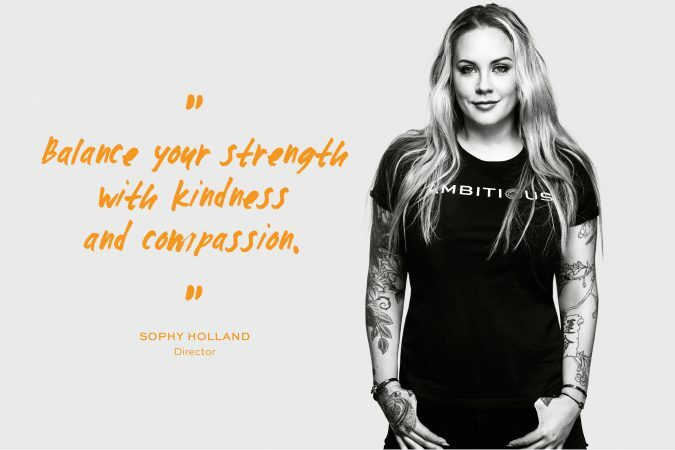 Director Sophy Holland shares why she is pledging to #EmbraceAmbition and the value of strong and inspiring female voices in film. Holland directed the Tory Burch Foundation’s Embrace Ambition PSA. New York Times - When Did ‘Ambition’ Become a Dirty Word? Making its debut next Wednesday, on International Women’s Day, the campaign, called “Embrace Ambition,” features Julianne Moore, Melinda Gates, Gwyneth Paltrow, Jamie Lee Curtis, Anna Wintour, Reese Witherspoon and other famous people (both male and female) talking in front of a scrim about reclaiming a word that has often been used to vilify women. We peek at the future of fashion photography. 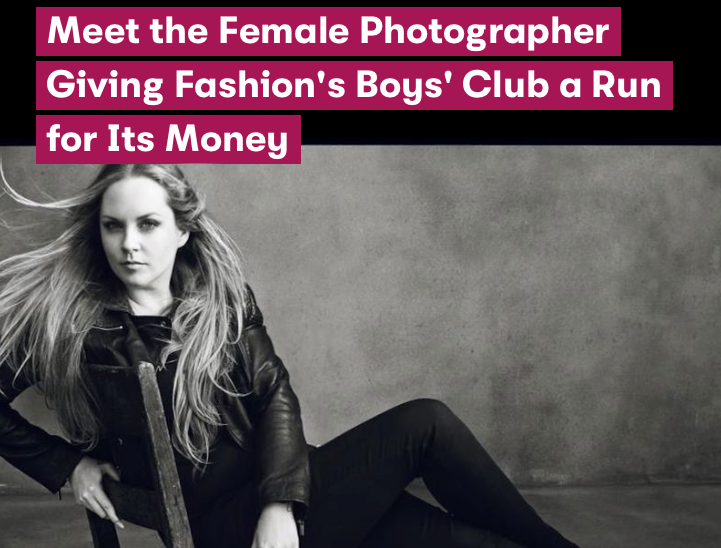 Sophy gives special advice for the women in photography. What it’s really like to be a photographer? This and much more in our new episode. Holland's feminism, both evident in her ethics and photographic method, is arguably already making a huge impact in the fashion industry and in photography. Counting Leibovitz and Ellen von Unwerth as her heroes, she is undeniably following in their footsteps. Women of Marvel’s Judy Stephens welcomes special guests Fashion Designer Viktor Luna and Fashion Photographer Sophy Holland to chat the merging of comic culture and fashion as New York prepares for Fashion Week from February 11-18. Sophy Holland is a British-born Photographer, Director and Creative Director. She studied at Central St. Martins in London and started her career as a painter before transitioning to Art Direction for both editorial and advertising clients in NYC and London. 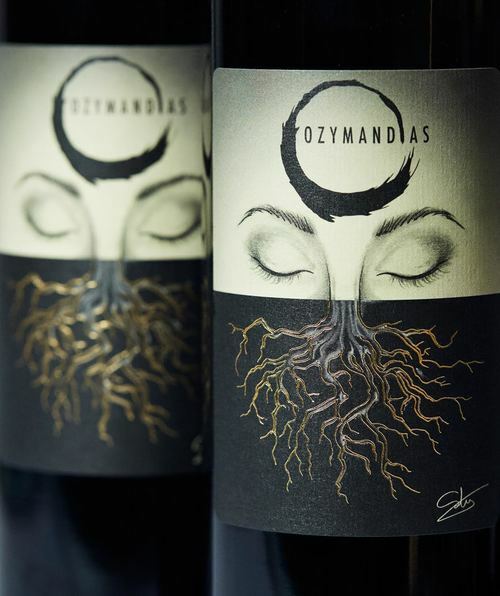 After being selected as the inaugural featured artist on the front label of the '16 release of Ozymandias, Sophy agreed to join the Ozymandias Wines team as a Creative Consultant and will help select future benefiting artists.